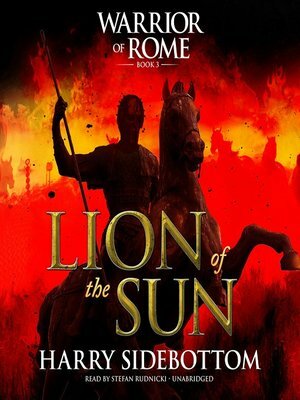 In Mesopotamia, AD 260, Ballista faces yet another enemy, the man the Syrians call The Lion of the Sun. Betrayed by his most trusted adviser, Roman Emperor Valerian has been captured by the Sassanid barbarians. The shame of the vanquished beats down mercilessly like the desert sun as the frail old emperor prostrates himself before Shapur, king of kings. Ballista looks on helplessly but vows under his breath to avenge those who have brought the empire to the brink of destruction with their treachery. But first he must decide what price he will pay for his own freedom. Only the fearless and only those whom the gods will spare from hell can now save the empire from a catastrophic ending. Ballista, the warrior of Rome, faces his greatest challenge yet.